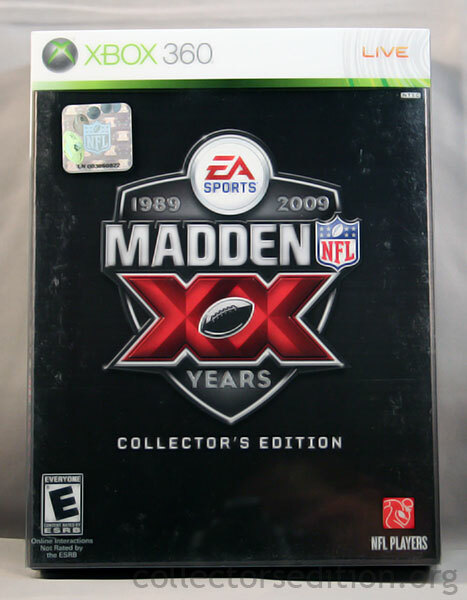 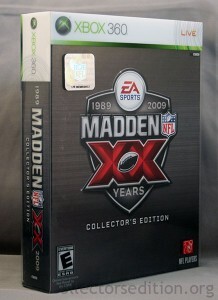 The 20th Anniversary Collector’s Edition of Madden NFL 2009 come in a 2 fold 3 disc digipak case within a thick cardboard art box and plastic sleeve. 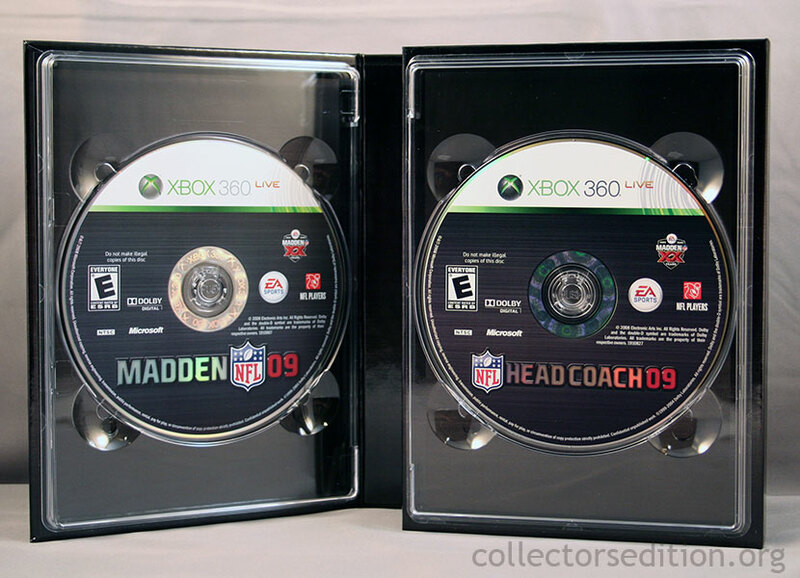 It includes both Madden NFL 09 as well as Head Coach 09. 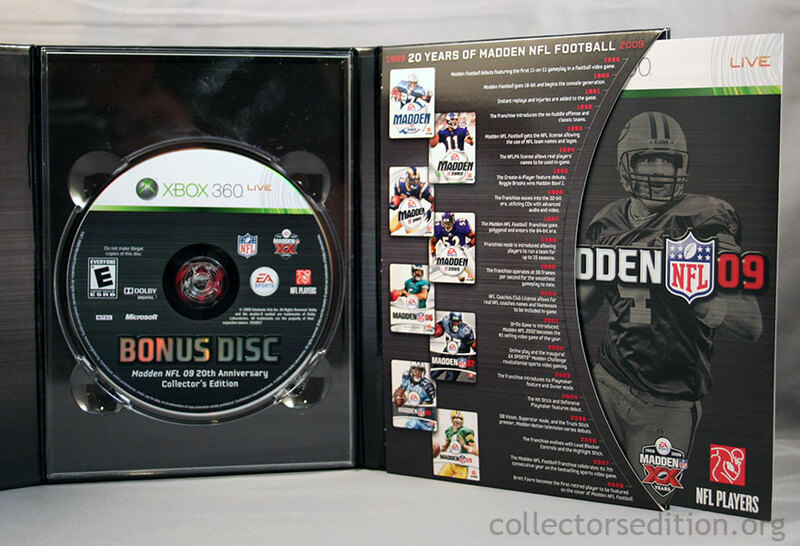 Also included is an “extensive library” of bonus video content. This entry was added to the database on Saturday, April 5th, 2008 at 10:58 am by Michael Pica. 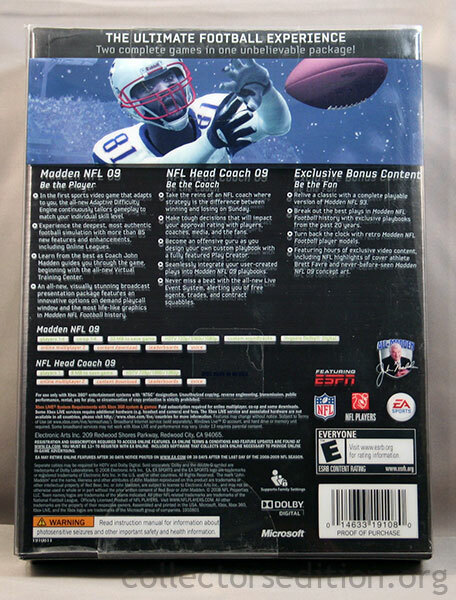 This information was last updated on Thursday, March 19th, 2009 at 10:50 am by .